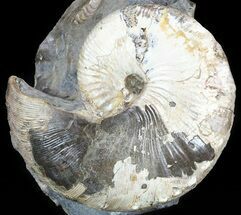 This is a wonderful association of the ammonite Hoploscaphities brevis and several baculites (straight cephalopods). 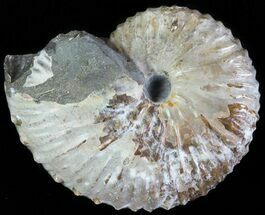 They come from the Late Cretaceous Pierre shale of South Dakota. 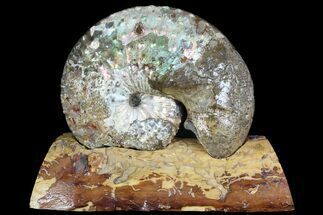 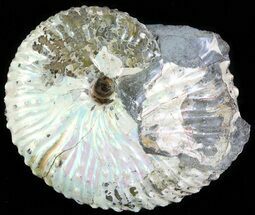 The piece has been wonderfully prepared and the ammonites all have iridescent shells. 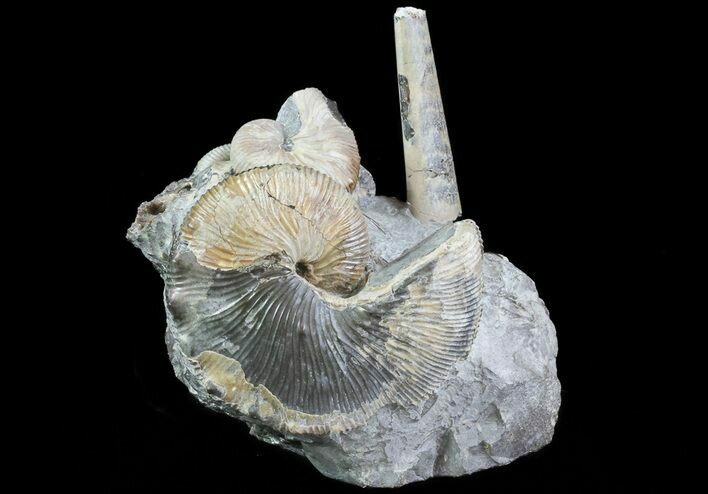 It would make for a great display sitting on shelf or desk. 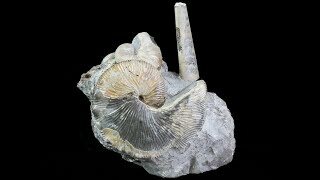 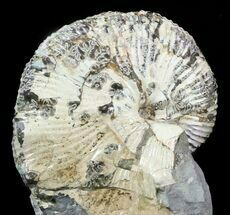 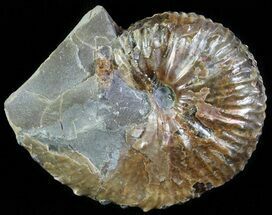 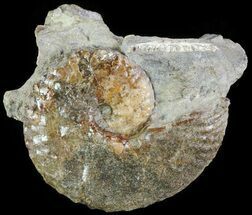 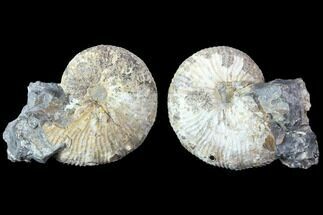 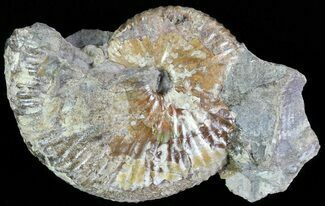 Largest ammonite 3.1" wide, Overall size 4.5x3.5"